As they came to me both Bee and Vee had the upper part of the spacer against the inboard face of the bonnet bracket and no spacer, but a spacer fitted to the lower part. 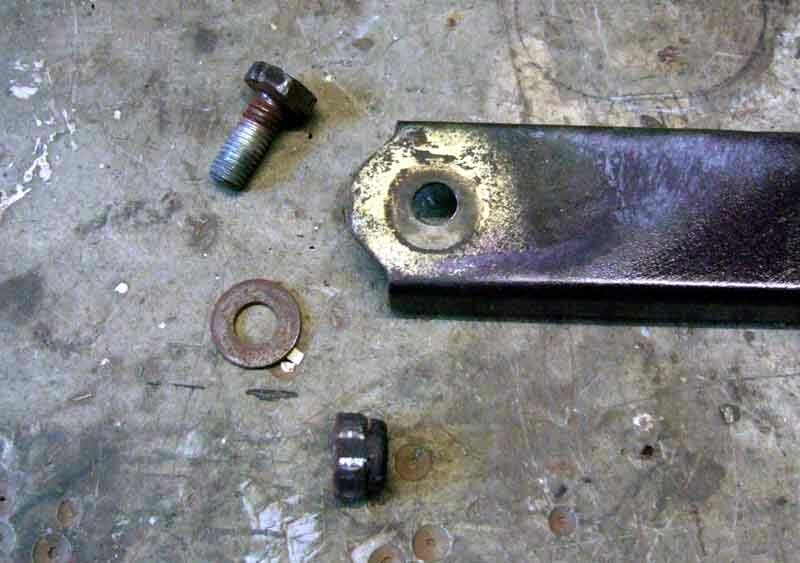 The upper part should be against the outboard face of the bracket, with a second spacer. 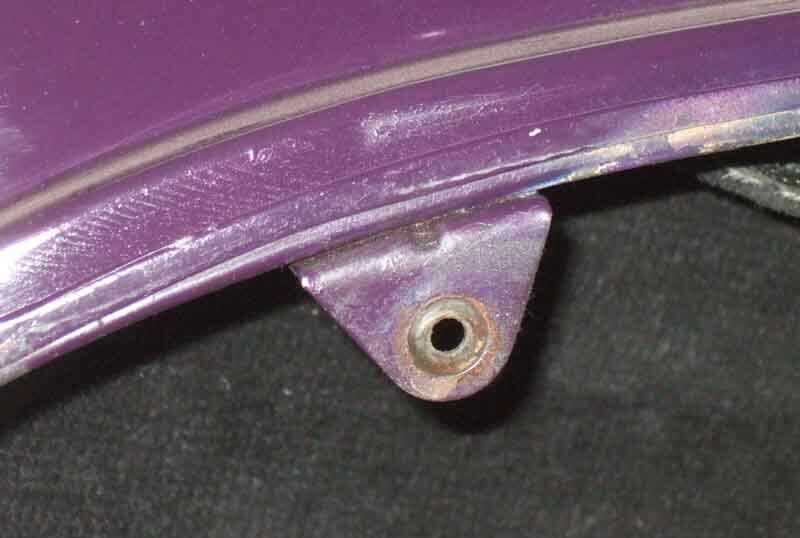 Bee's boot-lid strut. 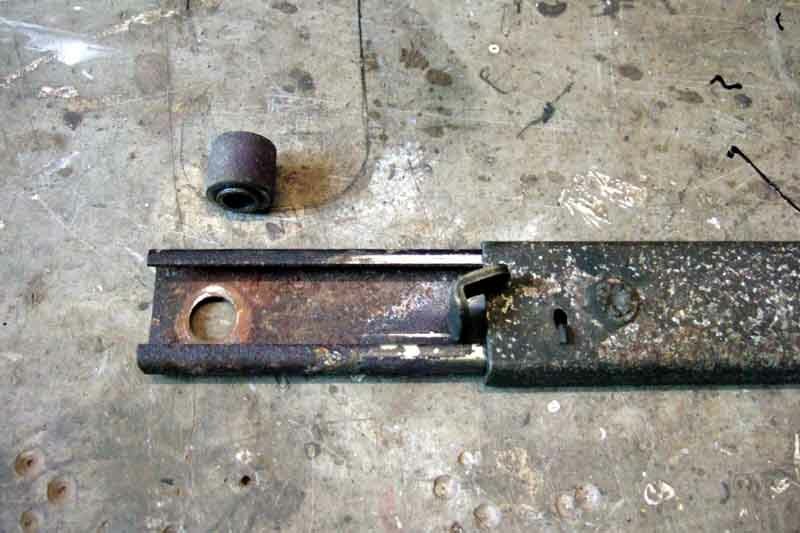 Because this strut has the release lever facing backwards instead of forwards as with the bonnet strut, it needs no spacers, top or bottom, in order to sit against the correct faces of the brackets. 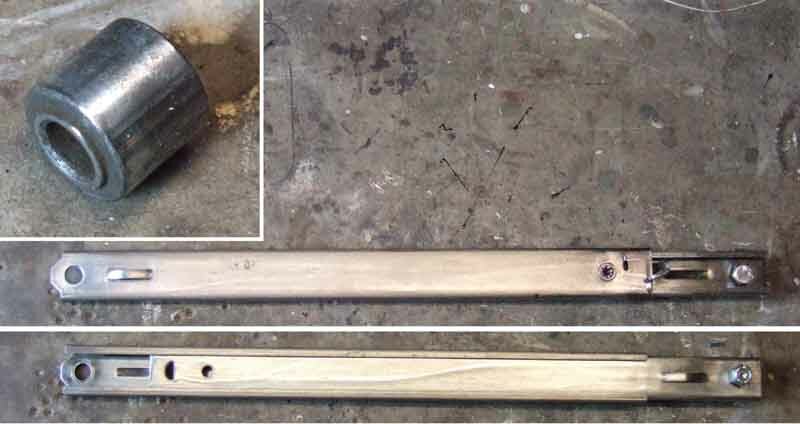 Boot strut has 1/4" holes, and flat washers to prevent chafing.